Regent University’s Institute for Cybersecurity Certified Cyber Practitioner ™ Program (CCP ™) closes the gap between the theory gained through commercial IT certifications and the practical experience you need to effectively respond to cyber threats. Transform your IT professionals into experienced cybersecurity defenders. Flexible, six-day courses integrate commercially recognized certification curriculum with hands-on tools native to the institute’s multimillion-dollar cyber range platform. Satisfies SECNAV M-5239.2/Cyber Security Workforce (CSWF) and organizational requirements to demonstrate proficiency. Supports multiple skill levels – from experienced cyber professionals seeking to enhance cyber proficiency to IT staff looking to develop essential cyber knowledge. Incorporates objectives and outcomes based on the NICE framework for Cyber Defense Analysis and Incident Response specialty areas. Facilitated by world-recognized security experts. Earn your CCP™ practitioner certification. Cybersecurity professionals need the practical cyber defense skills required to perform successfully in positions for which they were hired that commercial certifications and cyber degrees don’t necessarily provide. Regent’s Certified Cyber Practitioner™ Basic course is the beginning of a cyber training pipeline offered to transform your career. The first of three six-day courses in the program combines hands-on exercises on Regent’s cyber range with classroom instruction designed to provide the budding cyber professional with essential knowledge and skills to implement basic cyber security principles. Curriculum is drawn from critical topics in CompTIA Network+ and Security+ programs and are enhanced with specific Cyber Range focused exercises and live-fire simulation training™ that serve to reinforce the material. A SEC+ certification exam voucher is offered and a Certificate of Completion is provided. Curriculum Practical(s): Lab exercises designed to reinforce key Security+ and Network+ topics as well as live-fire hands-on range scenarios. Regent’s Certified Cyber Practitioner™ Intermediate course is six-days of combined hands-on training on Regent’s live-fire cyber range™ in conjunction with the Logical Operations CyberSec First Responder™ training program. Earning a CyberSec First Responder™ certification validates that individuals have the high-stakes skills needed to defend their organizations before, during, and after a breach by teaching students to analyze threats, design secure computing and network environments, proactively defend networks, and respond/investigate cyber security incidents. Regent further enhances the learning experience by incorporating experiential learning components including labs and live-fire simulation training™ led by world-class trainers to give trainees the practical reinforcement not offered in other training environments. A CFR certification exam voucher and a Certificate of Completion is provided. Curriculum Practical(s): CFR Online Lab access is provided and integrated into the CFR course as well as live-fire hands-on Incident Response scenarios requiring candidates to submit a written Incident Response report for critical evaluation using the template provided. Pre-Requisite: Cyber First Responder (CFR), SANS GCIH, GSEC, GCIA and recommended 3-4 years of IT administration experience in enterprise networks and including Incident Response experience (this is an advanced, in-depth, scenario-based course that does not cover the basics of Incident Response handling). Regent’s Certified Cyber Practitioner™ (CCP™) Advanced course is six-days of experiential training designed to provide the more seasoned cyber practitioner with instructor-led hands-on live-fire simulation training™, running through numerous cyber-attack scenarios to enhance and hone your cyber defense skills. Working in small groups, your team will identify, analyze, defend and secure the simulation platform against the emerging threats presented. Groups debrief at the conclusion of select scenarios to compare defense strategies and techniques applied for cross-pollination in learning. In addition, trainees will also participate in Incident Response and Systems Analysis labs and exercises as well as a day-long practical constructing a comprehensive Incident Response report that can be taken and used as a powerful template for capturing real-world incidents.  To earn the CCP™ certification, one complete incident response report must be submitted for critical evaluation to validate your practical skills and ensure employers that you have the knowledge and abilities to be fully effective on the job. The institute offers dozens of commercial certifications, bootcamps and courses, to position you for career advancement. Fully public-facing training supporting public/private sector organizations and Department of Defense (DoD). Let us develop your skills to defend information systems, conduct continuous monitoring, secure systems and generate comprehensive Incident Reports (IR). Inquire about Security+, CEH, CISSP, CASP, Network+, CySA+ and many more. © 2019 Institute for Cybersecurity.